30 Jan 1998 - I am closing out another year of logging what's new - check out the 1998 What's new for the latest. 30 Nov 1997 - Inserted Frans' updated TVZ songs by others page. Updated TVZ tape archives page (including tapes from 87 Mountain Stage, 89 BFBS Radio w/early performances of No Deeper Blue material, a crisp SB from 8/10/90 at York, TVZ with Guy in a classic song trade-off show 11/23/91, an excellent but incomplete SB from Munich 11/21/94, and a German radio interview w/4 songs 11/20/95). 16 Nov 1997 - Added 3 songs to Chords page - renamed page from "Tabs" since chords and lyrics are not the same as tablature - thanks to the person who kindly pointed that out. Also added Hermann's review of Townes in Dortmund to the Reviews page. Also changed the "Blue Sky Home page" logo to one generated with Photoshop. 18 Sept 1997 - Added "Brother Flower" to Tablature page - thanks to Rolland. 13 Sept 1997 - Some minor corrections; revised format of guide to TVZ songs. 7 Sept 1997 - Inserted Frans' updated TVZ songs by others page. Updated the Concert review page with items from about-townes and other sources. Added several record reviews to the discography page, including a piece I call "TVZOLOGY" about some of my favorite TVZ albums. 17 Aug 1997 - Updated the guide to TVZ songs to include all the '96 and '97 albums like "Best of", "Abnormal", "Highway Kind" and "Last Rights/Documentary". I have always found this guide useful as a cross-reference to Townes' songs. And also, the European (Normal Records) releases tend to have extra tracks (as with Road Songs and Highway Kind), so it is nice to have a place to record this kind of information. I have also researched copyright years and the year Townes first performed each song and have included the earliest date with each song. This provides a beginning reference to how old these songs are. I expect to receive quite a few corrections in the near future. Let me know of any. 31 July 1997 - Now we have a new video Jukebox page - Hope you all like seeing townes on the "little screen" - and you have a fast connection! 26 July 1997 - Added to, and overhauled the TVZ Jukebox with some recently released songs recorded by others, such as "Snake Mountain Blues" by The Walkabouts, "Kathleen" by the Tendersticks, and "Nothin'" by Calvin Russell, and 3 others, at Jeanene's request - happy to oblige! Also, I post new additions to the Tablature page - making 29 songs that are now available! Thanks to Neal for so many contributions, Great work! I have added a header to each file, and changed the extensions from "crd" to "txt" to avoid problems with browsers that don't like wierd extensions. Keep me posted on new additions, please! Minor additions made to TVZ FAQ page. A major revision is pending. 29 June 1997 - Have made some mostly minor changes over the last 3 months. Today I updated the discography page with info about Last Rights/Documentary and a few other items. 26 Mar. 1997 - Added a new tablature file Tower Song to the tablature page. 18 Mar. 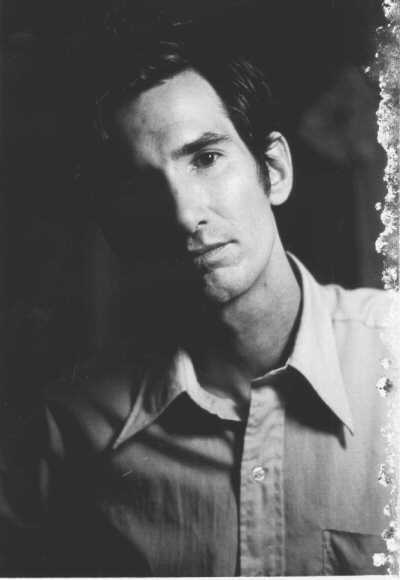 1997 - Updated the discography to include "Best of Townes Van Zandt" and "The Highway Kind" (which was released today in the US). 18 Feb. 1997 I did a minor run-through updating the TVZ FAQ, so check it out and notify me of further errors, additions, or suggestions. 1. 1996 log archive I split this log page by year. This '97 version will be more of a "what's new" page. 4 Feb. 1997 - Added 3 new articles to the memorial page. I especially like the one by Naomi Shihab Nye which was published in the Texas Observer. 30 Jan. 1997 - Email from Dan Zmud about a new link - a great new set of pages actually. Check it out. I think the threaded conference should be solid nowadays - running under Windows NT and Enterprise server now. 25 Jan. 1997 - I received a message from Kevin Eggers, Townes long-time producer and owner of Poppy and Tomato records, about the 60-song box set. A note from Kevin, the track info and list of invited musicians for duets is available and placed in a web page at this site for all to reflect upon (and rejoice not a little). A first album of 16 tracks and a single are to be announced shortly. The box set should be out October 1997. Updated a few corrections on Frans Bevers' "TVZ by others page"
This kind of surge in interest is intriging but sad. Many of the greatest painters were obscure until after their passing. Townes, the Van Gogh of Songwriting. 21 Jan. 1997 - Added several more articles written about Townes for online and conventional newsmedia. See the memorial page. Updated my tape list. 19 Jan. 1997 - I have lots of updates yet to do. Today, I posted Jeanene's fax of the dream she had about Townes coming by to visit. She just called last night and said she wanted to post this for the web community and I said great. Also, my brother in Kansas City sent a nice article from the Star that I posted on the memorial page. 15 Jan. 1997 - Marking 1 year in operation for this web site: Happy birthday! (I'm still blue) Added three samples of songs unavailable commercially: from "Wont You Lend Your Songs To Me" by Trees (vocals) and Frenk (guitars), recorded December 1993 in Holland. These renditions capture the somber mood of Townes music (and his passing) for me. 12 Jan. 1997 - Moved a few things around, put memorial information in a separate page; scanned the photo handed out at the memorial service that Topher sent to me (many thanks). Changed/added a few quotes. So many of Townes songs refer to death (and light, and dark, and ramblin', and etc.) that it could almost be a random pick to find lyrics that seem to fit these times. Started a new page "TVZ Biographies" on-line information. For now, this will be linked to the TVZ Related Web Links page. I don't have time to get much on, but it is a start. 10 Jan. 1997 - Several new items, including links to join and visit archives of the new version of the TVZ mail list called about-townes, more info on the memorial service and tributes, and I have now made the icons link up as they should have been all along. The threaded conference still crashes my machine fairly often, I dont expect this to be fixed until I switch to Windows NT. Sorry to all the folks who experienced it crashing from the other end! It still works some of the time, and will continue to be of service especially for those who do not want to join about-townes. 4 Jan. 1997 - Added more quotes, making use of Bo's excellent new lyric finder feature. Really nice! Other changes: keeping press releases up to date; as they go offline [being news stories and all], I will try to put up a local copy to keep them around awhile. Added a newly submitted guitar tablature file for the song "Snowin On Raton", thanks to Alice and Daniel. Added part 1 of a report from Jeanene. I faxed 46 of the conference postings to Jeanene, as she requested. I am very glad to be able to help keep us all in communication. It is a treat to be able to help out in this way. Thanks to all who have sent me support via email, I am grateful and appreciative. The conference is back to the mostly stable, older version. The new trial version was limited to only 50 messages, we all found out the hard way. 3 Jan. 1997 - Experiencing problems with the conference server crashing. I installed a new version (which was a trial version) that seemed to work smoother - but then the trial period expired even though it had been in use for only 12 hours. So this morning I switched back to the first version, which so far is working OK. I will bring all the new postings from the second version over to the first to bring it back up to date. Sorry about the confusion - It is not the time for computer glitches. 2 Jan. 1997 - I learned of Townes' passing this morning at 9:00. I will try to keep the web page up to date during these first couple of days. To access earlier what's new/log info go to the tvzlog96.html page.